The last time I wrote about Into the Badlands on this site, I was… distressed. Veil died in the Season 2 finale, after being tortured for basically the entire season. I wrote a very, very long review/autopsy of the finale, which was reposted on Black Girl Nerds, and in it I go over the hows and whys Veil died and why her death was ultimately preventable. I was also able to speak at length to showrunner Al Gough about it too, which you can read about here. After all of the writing and interviewing, I was still in a lurch as to whether I would pick up the remote and turn to AMC once Season 3 rolled around. I know a lot of black women fans might not be, still feeling the burn of Veil’s death. I’m not going to lie and act like I don’t still feel the sting of her loss. But, after having a year to think about the show and its upcoming third season, I also don’t feel like it’d be justifiable for me to turn my back on Into the Badlands altogether. For me, it’d be like throwing the baby out with the bathwater. Here are my reasons why I’m going to watch Into the Badlands this season. People can feel how they want to feel about what Gough had to say in his interview with me, but personally, I take him at his word that he didn’t know about the sacrificial black woman trope. Since he mentioned being aware of other tropes Into the Badlands purposefully steered away from and acknowledged his own ignorance of the particular trope that plagues black women characters, what else can I do but accept that he just didn’t know? I’m sure there are tropes out there that I’m still not aware of and I’m certain there are mistakes I still make, even as a person who writes about racial representation on a daily basis. Becoming aware of your own ignorance is part of what makes being a creator a dangerous profession sometimes. Not “dangerous” in the sense that you’re risking your life, but “dangerous” in the sense that your positives and negatives are going to be on display for the world to make judgement on. Essentially, what I’m saying here is that I don’t feel like there’s malicious intent behind Veil’s direction, and that the lesson to be learned from Veil has been duly noted. All I can do is accept that and appreciate that the people behind the show care enough about their fans to reach out to them. I’d also been thinking about Veil’s death in comparison to Abbie Mills’ on Sleepy Hollow. If there’s one thing I can say, it’s that it feels like Sleepy Hollow was a sinking ship after the first season. Regardless of who came to the writers’ room later on, the show had lost its footing and in some ways, the show had lost its heart. I dare say that even the show’s care for the characters went out the window, what with Ichabod Crane becoming the Horseman of War. How, Sway?? But Into the Badlands still has the look and feel of a highly curated show with a clear intent and purpose. It looks like it still has something to say, and most importantly, it feels like a show still interested in the lives of its characters. It’s a show that actively wants to do well. But it’s important to know that folks behind the scenes of this and any show aren’t perfect. There will be biases and blind sides that get exposed in the writing, direction, or production of any show. But, just like with people, what’s important is how a show acknowledges and learns from its mistakes. I’m intrigued to see what Into the Badlands does at this critical point in its tenure. If I’m going to scold a show to “do better,” I should see if they actually do. First of all, I hate the phrase-turned-meme “do better.” The phrase has lost all of its meaning in my opinion, and has only become a way for folks to feel holier-than-thou about themselves while casting stones at another person’s mistakes. Sure, we should tell people to correct bad behavior, but the sneering tone behind “do better” gets on my nerves, as if we aren’t all problematic on some level about something. Essentially, my big S2 finale review was just a long-winded way of saying “do better.” So if I’m going to tell someone or something (like a TV show) to do better, then I should actively see if the show and the folks behind it actually do better. I might have went hard in my review of the S2 finale, but I’d like to see what the show will do after the fact. I want to see how they have integrated the reactions from last season into their creative process this season. I want to see what they’ve learned. 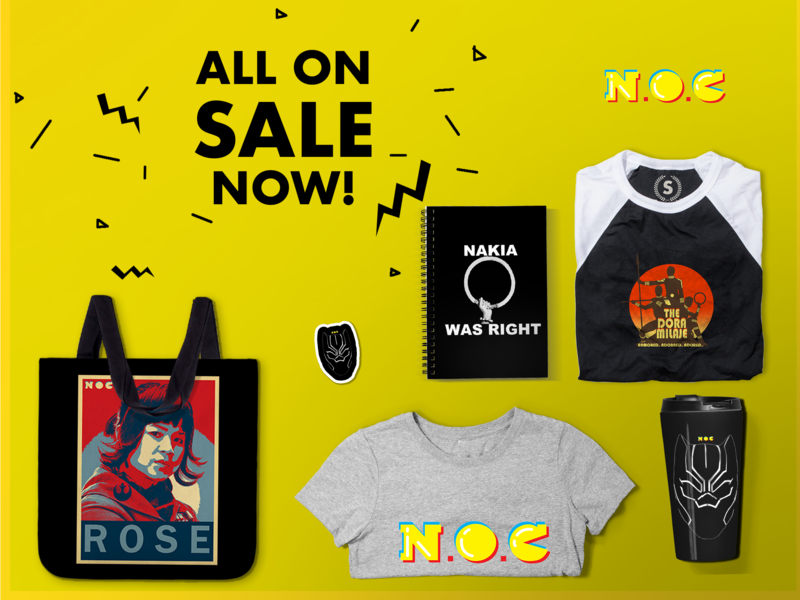 I don’t want to write the show off, especially since otherwise, a lot of care has been shown in making the show, casting a diverse group of characters, and steering clear of a majority of racial and cultural stereotypical pitfalls. There’s a lot to love about Into the Badlands, particularly the fact that it’s a show redefining the fantasy genre as an inclusive one. There’s a lot more good with Into the Badlands than there are mistakes. Season 2 proved to be a season that provided some tough lessons to learn, but I’d be remiss in my scolding if I didn’t actually give the show the chance to step up to the plate. I’ve seen the trailer for the new season, and I can’t lie–it does look epic. One thing Gough did say in his interview with me was that he realized after Veil’s death that the majority of the cast was white, which was something he didn’t want. 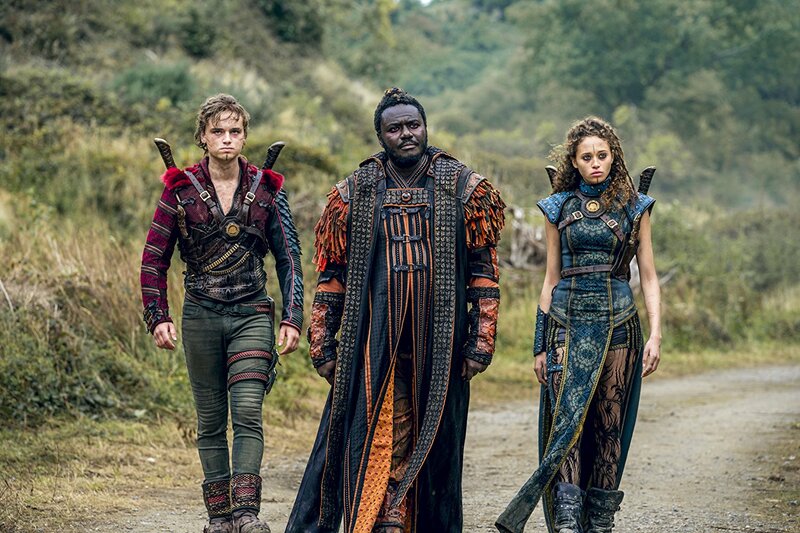 It feels like that sentiment is all over this season of Into the Badlands, which includes many more brown and black faces, including Babou Ceesay and Lorraine Toussaint. Sunny’s greatest adversary, Moon (Sherman Augustus) has returned as as a Butterfly clipper. Even one of the Internet’s Boyfriends, Lewis Tan, is a part of this season as Baron Chau’s (Eleanor Matsuura) brother, Gaius. With the cast as stacked as it has ever been, and with the stakes as high as they’ve ever been for Sunny, I genuinely want to know what’s going to go down. If I’ve ever had a case of FOMO, it’s with this show. 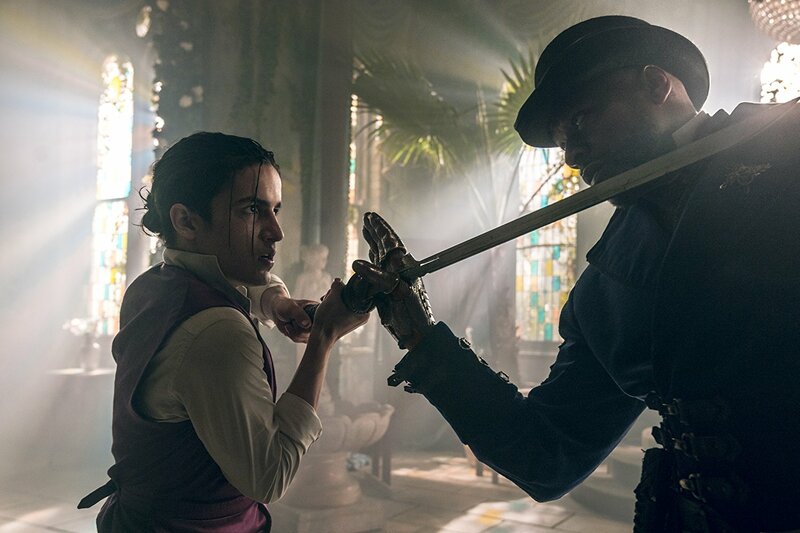 Let me reiterate something–the reasons listed in this article are my reasons for watching Into the Badlands. I’m not telling anyone else that they have to tune in. If you still feel like you don’t want to watch, that’s your prerogative. As for me, I feel like a show like Into the Badlands is too important to cast aside right away. There’s no other show that’s doing what Into the Badlands is doing as far as inventiveness, creativity, and an adherence to diverse and inclusive standards. 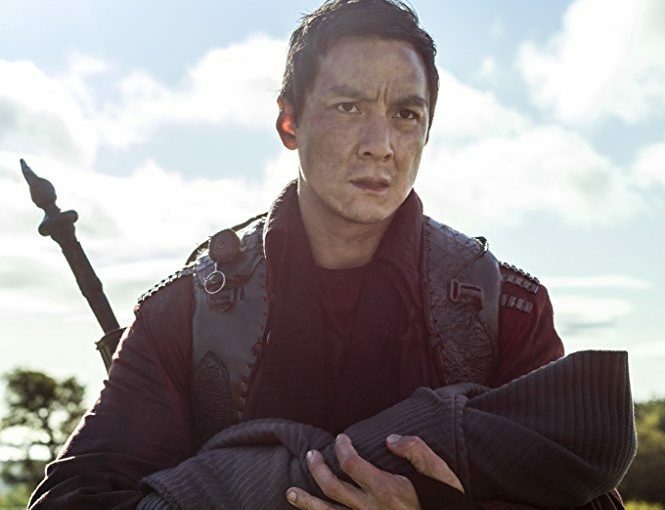 Personally speaking, Gough’s actions–to seek me and other inclusive outlets out to speak to them about last season’s ending–speaks volumes to me as to how much the folks behind the scenes of Into the Badlands do care about their storytelling and their audience. Again, maybe you don’t feel that way, and I’m not telling you you have to. I’m just saying that for me, that means something. To sum it all up, I’m giving Into the Badlands another shot. If you’re giving it another shot too, the Season 3 premiere airs April 22, 10/9c on AMC. I’m only coming back for Lewis Tan. When they kill him off I’m gone. I still like the show, and I need my martial arts fix, so I was gonna come back regardless of whether or not Lewis Tan was going to be present. Tan is just the icing on the cake for me. I also like the lead character, and where his narrative has been going. (I like all the character,s really.) I feel kind of invested in some of them, and I have to see where the story goes. Unlike a lot of other black women, I didnt get attached to Veil. She wasnt a draw for me, but I respect that she was a big thing for other women, and I clocked what they were doing to her character, but her death was never gonna stop me from watching the show. ts just too unique for me to just drop it on the death of one character, I wasnt that invested in.